A few of the very cool design ideas that I discussed in my blog article Design Inspiration: Second Screen Designs are starting to appear. Since I wrote that article, Apple's CarPlay has been launched and now Avatron has released Air Stylus an app that lets you use your iPad as a touch screen tablet for your Mac. And Apple announced that iOS 8 and Mac OS X Yosemite will have several app functionality sharing features like Hand Off and Continuity. Second Screen Designs are coming more and more. 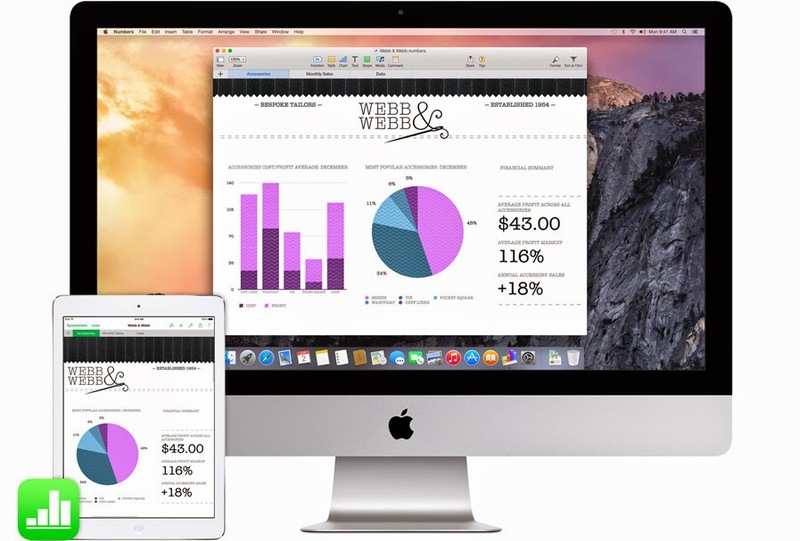 Apple announced iOS 8 and Mac OS X Yosemite on June 2nd at WWDC. The announced Hand Off and Continuity features of both iOS 8 and Yosemite will more tightly integrate apps on iOS 8 devices and Macs. What Apple announced is very cool, but I think they have more that they haven't told us yet. I think one area that we may see more Second Screen Designs innovations coming from is Apple TV and the rumored Apple iWatch. Perhaps even this year. What Handoff will allow you to do is take an email, web page or document that you are working on on your iPad or iPhone and pick up exactly where you left off working on it on your Mac. It will initially support Apple's apps like Mail, Safari, Pages, Numbers, Keynote, Maps, Messages, Reminders, Calendar and Contacts. And Apple has allowed developers to build Handoff features into their apps too, so I expect we will see even more very soon. Other Continuity features will also extend the features of the Phone and Messages apps. 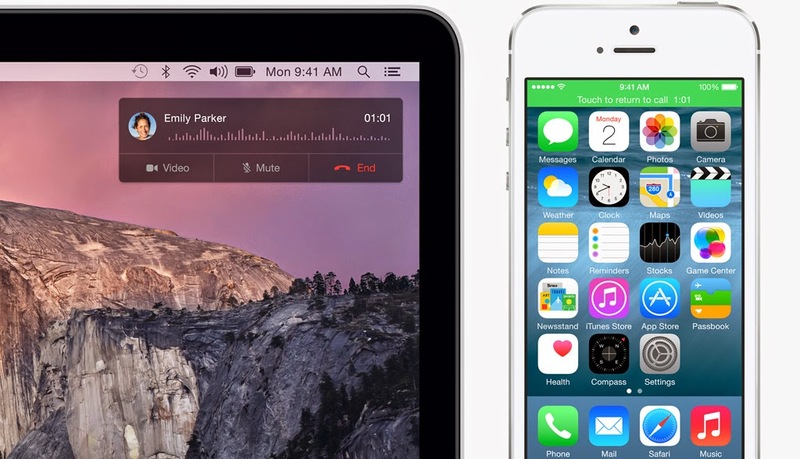 New Phone app features will allow you to make and take phone calls on your Mac via your iPhone. And Messages will now be able to send and receive SMS/MMS messages from your iPad or Mac. So you'll get all the same messaging capabilities that you have on iOS and Mac, with people who do not have an iOS device. To learn more about iOS 8 and Yosemite check out my other blog articles on iOS 8 and articles on Yosemite such as How To Safely Test iOS 8 Beta and How To Safely Test OS X Yosemite Beta. The Air Stylus app allows you to use your iPad as a touch screen tablet for your Mac. Avatron already offers Air Display, an app that allows you to use your iPad as an extended screen to your Mac or Windows. 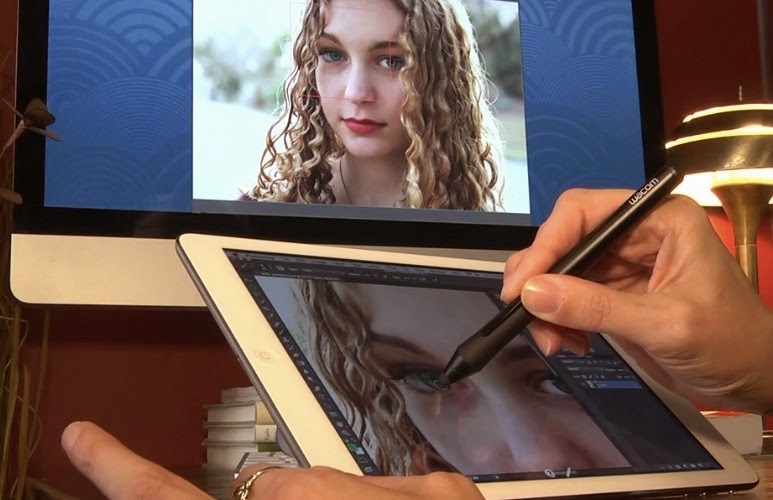 Air Stylus can do for $20 bucks what very expensive touch screen tablets from the likes of Wacom and ViewSonic that costs many $100s up to over $1,000. Air Stylus works with a pressure sensitive stylus and most graphic apps like Pixelmator and Photoshop on your Mac, making your iPad in to a pressure sensitive and wireless drawing surface and second screen. With Air Stylus and a pressure sensitive pen, you can paint directly on the iPad’s screen into Pixelmator, Photoshop and almost any other Mac software that supports pressure sensitivity. These are some very cool Second Screen Designs and I expect many more are coming. This year !!! I think the next Apple TV and rumored Apple iWatch will bring even more mind blowing Second Screen Designs and more. I expect that the OS on the new Apple TV will be based on iOS 8. There is already a beta of Apple TV software that shows signs of having Continuity features. And BTW, Apple posts the Apple TV software in the iOS Dev Center as part of the iOS Developer program. And an iWatch would be a natural for some of the Continuity features that we've already seen with Phone and Messages. As well as being based on iOS 8.